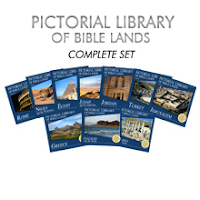 Todd Bolen at BiblePlaces.com is giving away a complete ten volume set of the Pictorial Library of Bible Lands. In my opinion, this is the finest set of pictures of the Holy Land available. To read about the give-away and to enter go here.